The gang’s all here when September comes! 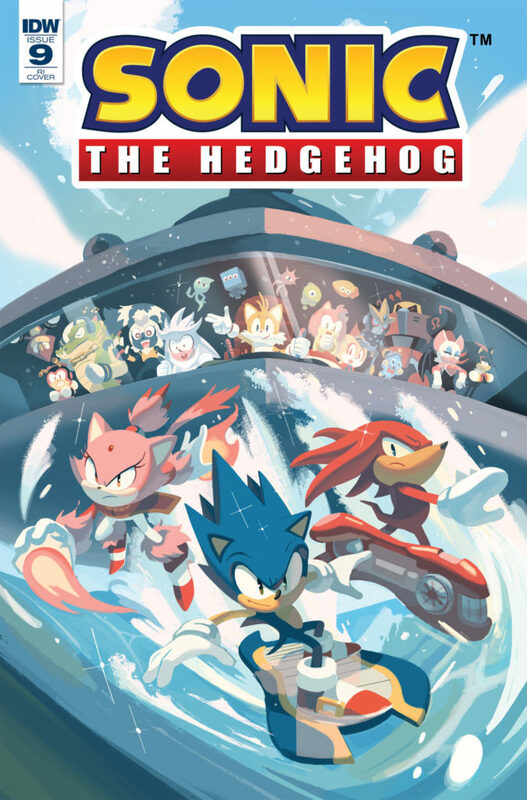 IDW have released the new solicitations for September 2018, and for Sonic that means everyone is pitching in for the fight! In Sonic the Hedgehog #9, a villain to be reckoned with is attacking Angel Island. The goal? To get to the Master Emerald and use its power to take control over everyone and everything! Sonic and all his friends are in a race against time to stop them, but has the clock already ticked down? This is “The Battle for Angel Island”: part 1. Tails, Amy, Knuckles, Tangle, Whisper, Shadow… Everyone’s in this issue! It’s all been building to this! As always, we will have more news on this comic closer to the time of its release. Until then, you can read the more immediate upcoming issues to see how they build up to this story!